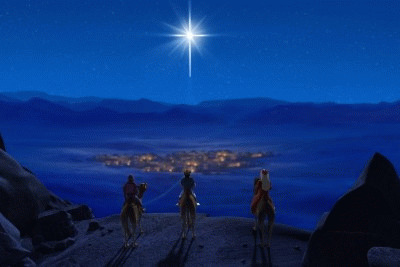 Merry Christmas From Andy Stanley -- Who Cares About the Virgin Birth? There are hundreds of fulfilled prophecies in Jesus Christ that God foretold us about in the Old Testament. We must understand that the enemy works overtime to undermine the inerrancy of Scripture. If he can cast any doubt upon any one Scripture then we can throw the entire canon out. If any portion of it is unreliable then why should we rely on any of it? What Stanley does here, perhaps unwittingly, is cast doubt upon the portions of Scripture that predict and then attest to the virgin birth. And why does he do something so heretical? Because he is afraid that people in the world will not believe the concept of a virgin birth. This despite the Bible assuring us that all of the things of God are foolishness to those who are perishing; not just the virgin birth. We saw earlier in the year Stanley cast doubt on the destruction of the walls of Jericho, the trek from Egypt to Canaan by the Israelites and even the age of the earth. Now he is targeting the virgin birth but in doing so he essentially calls God a liar. God specifically said through the prophet Isaiah that a virgin will give birth and He would be called Immanuel. Was God wrong? Did He make a mistake? Or is Andy Stanley wrong? These answers should be obvious. There are multiple reports within the Gospels themselves of the virgin birth and we believe all Scripture is God breathed, which means Andy Stanley is calling God a liar in each instance. The final consideration here is that Andy Stanley misses the importance of the virgin birth entirely. Sure we can argue that the resurrection carries more significance on some levels but you do not get there without the virgin birth. Think about what Stanley is really saying here beloved. Without the virgin birth, Jesus is born a sinner as we all are. He no longer can lead a sinless life. He no longer is the spotless lamb. He no longer is the atoning sacrifice. He no longer reconciles us to God. The resurrection becomes an afterthought without the fact without the virgin birth. This is an insidiously false teaching, regardless of motive. It teaches believers that they too can cherry pick the Bible and come up with a logical humanistic rationale for dismissing parts they do not like. It teaches unbelievers that even Christians do not believe the really supernatural stuff found in Scripture. Not only that but it essentially promotes the denial of Jesus Christ. Which brings us in closing to our key scriptures for today. Amen to that. Our job is not to commiserate with the world and try to understand their perspective. Our job is to preach the uncompromised Gospel and let the Holy Spirit draw people to the cross. I am not saying you have to believe in Jericho, Canaan, or even the virgin birth. I am just saying you are not a Christian if you do not. That includes wayward and heretical teachers such as Andy Stanley. It is time to mark him as such and avoid him beloved.